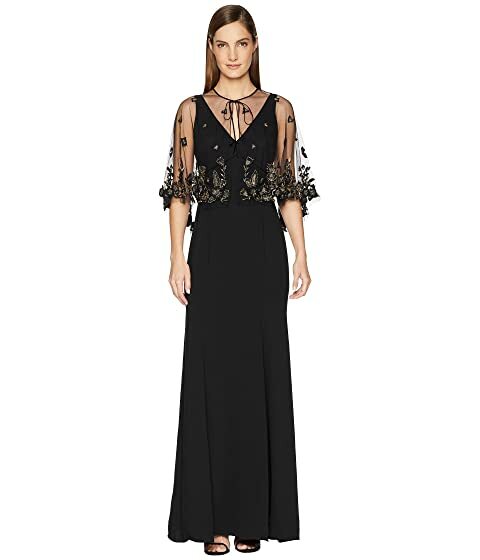 Create a beautifully theatric look wearing the Marchesa Notte™ V-Neck Crepe Gown w/ Beaded Cape. Beautiful sheer cape with tie closure and beaded embroidery. We can't currently find any similar items for the V-Neck Crepe Gown w/ Beaded Cape by Marchesa Notte. Sorry!